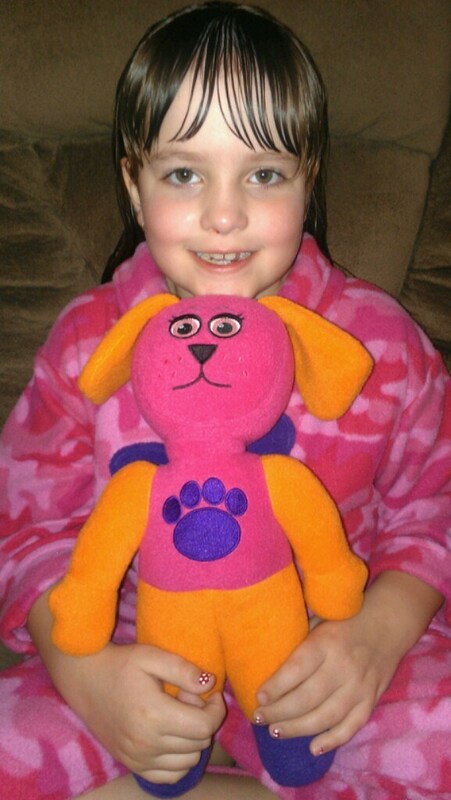 My eight year old daughter loves stuffed animals, and like most children has an abundance of them. Each one of them is special to her in some way, and each one loved just as much as the next! 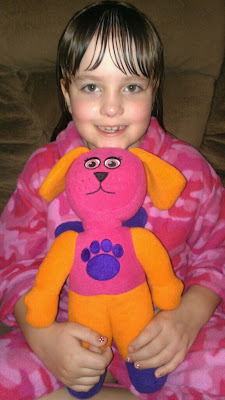 My daughter had so much fun creating and designing a new best friend to welcome into our family. 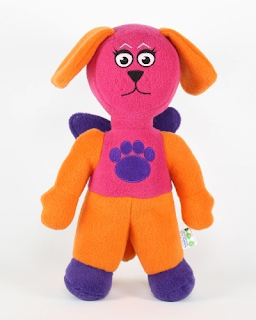 Her decision wasn't easy, but she finally created a bright, colorful and happy dog with butterfly wings! Pink, orange and purple are her favorite colors, and this puppy has them all! She got to choose the head, eyes, mouth, lips, hands and feet. Everything about this adorable stuffed animal was her choice! Imagination is something that I encourage in my children, the sky is the limit! The Happy Toy Machine is the perfect way to allow a little personal freedom of expression for my children. As a mom, the experience was priceless! 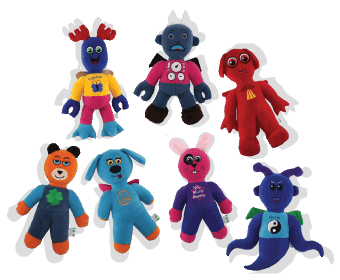 Happy Toy Machine lets you create your own cool, cute, and crazy custom plush (stuffed) toys. Design as many toys as you want for free, share them with your friends, and only buy one when you're ready. When you order we'll make your one-of-a-kind custom toy and ship it straight to you. Want to give a unique gift, make something amazing to play with, or just use your imagination and have fun? Jump right in! I like the puppy head! I like the cow head!